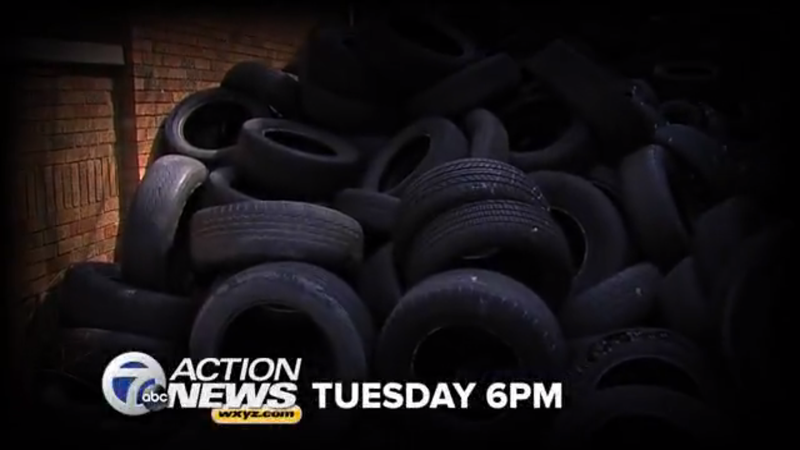 Over on the east side of Detroit, our local ABC affiliate has discovered abandoned homes filled to the roof — literally — with tires. Go-kart track, anyone? Illegal dumping has always been an issue in the city (well, any city, really), but this is certainly an odd and dangerous case. A few homes and lots in this neighborhood — it's not specified where exactly — are stuffed with tires, and as WXYZ points out, if a fire were to break out, it'd be trouble for the neighbors that are there. A video posted on the station's website shows tires filling up living rooms, yards, even basements. Who's doing it, we don't know; the report is scheduled to air tonight. The TV station says it has called the city of Detroit, which is now investigating.